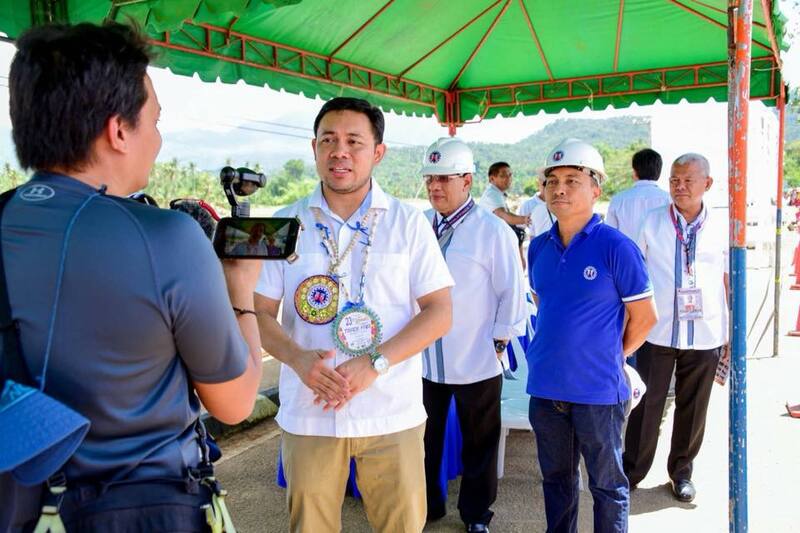 Interview of DPWH Secretary Mark A. Villar with Biliran Island.com during his visit on March 14 to Biliran Province. The DPWH Secretary attended the 23rd Biliran Women’s Congress Celebration as a keynote speaker in behalf of his mother, Senator Cynthia A. Villar. He also conducted an on-site inspection of CarayCaray Bridge with Engr. Edgar B. Tabacon, Regional Director, Engr. David P. Adongay Jr. and Engr. Alfredo L. Bollido, Assistant District Engineer of Biliran District Engineering Office. NAVAL, Biliran (DPWH-BDEO) – The Department of Public Works and Highways (DPWH)- Biliran District Engineering Office (DEO) will construct a detour across the CarayCaray River. This will reduce the travel time of heavy vehicles from two and a half hour travel (90Kms) to 30 minutes (19kms) from Biliran to Naval, the capital town. DPWH Secretary Mark A. Villar said that the DPWH will prioritized the funding for the said detour to solve the problem of using the long route. Villar was at Biliran on Wednesday, March 14 as the keynote speaker in behalf of his mother, Senator Cynthia A. Villar during the 23rd Biliran Women’s Congress Celebration. His visit was also an opportunity for him to conduct an on-site inspection of CarayCaray Bridge which was damaged by Tropical Storm Urduja last December 15, 2017. According to Villar, there is really a need to speed-up the construction of the new bridge to lower the cost of goods in the Province of Biliran. Since after typhoon Urduja, trucks, panels and other heavy vehicles were advised to take the alternate long route Naval-Almeria-Kawayan-Culaba-Caibiran-Cabucgayan road and vice versa, thus leads price hikes of other goods in the market. Engr. David P. Adongay Jr., District Engineer of Biliran DEO also said that the completion of detour will also help contractors to fast-track their project implementation because contractors will no longer have an excuse for the delay of their projects. The construction of detour across CarayCaray River has a length of 45m. with pavement width of 6.10m and a thickness of 0.28m with a budget amount of P4.760M. It is already under Preliminary and Detailed (PDE) activities.